Ulisse Stacchini, the architect who designed two of Milan's most famous 20th century landmarks, was born on this day in 1871 in Florence. A champion of Liberty style Art Nouveau designs, Stacchini's defining work was the gargantuan Stazione di Milano Centrale - the city's main railway terminal. He also designed the stadium that evolved into the city's iconic Stadio Giuseppe Meazza, joint home of Milan's two major football clubs, Internazionale and AC Milan. Among his early projects was the Savini Caffè in the Galleria Vittorio Emanuele II. His style can be seen in a number of town houses commissioned by wealthy patrons, including Via Gioberti 1 at Via Revere 7, which feature linear designs. 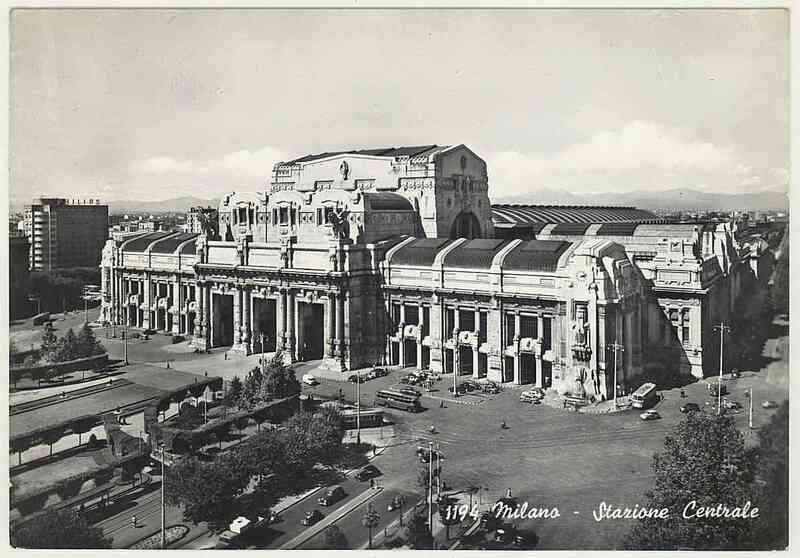 He became involved with the Milano Centrale project when he won a design competition in 1912, although construction was delayed by more than a decade because of the crisis in the Italian economy that followed the First World War. The project gained momentum only after Benito Mussolini became Prime Minister, with consequences for Stacchini's designs. 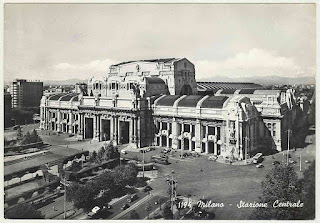 It was originally modelled on the Union Station in Washington but Mussolini wanted the new station to represent the power of the Fascist regime and encouraged Stacchini to create a majestic building that would have a huge presence. To some critics, the end result was an incongruous mix of Liberty, Art Deco and classical features, adorned with numerous sculptures, yet it was impressive for its sheer scale. Its façade spans 660 feet (200mt) and is 90 feet (27mt) high with three enormous porticos, each almost 30 feet (9mt) wide and 53 feet (16mt) high. It dominates the Piazza Duca D'Aosta. It was while the station project was under way that Piero Pirelli, the president of AC Milan, commissioned Stacchini to design a new stadium for the club on a site in the San Siro district of the city. 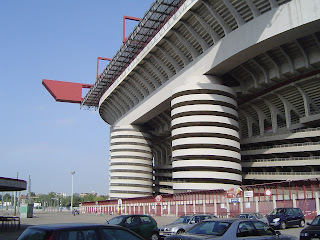 Stacchini's original stadium bore little resemblance to the instantly recognisable structure of today, with its 11 cylindrical towers, three tiers of seats and a vast roof, but was impressive at the time, consisting of two grandstands, one of which was partially covered, and two end terraces, with a capacity of 35,000. The first match there was staged in September 1926, a friendly between AC Milan and rivals Internazionale that the latter won 6-3. It underwent several expansions and reconstructions and became home to both Milan clubs in 1945. It was named after the footballer Giuseppe Meazza in part because he played for both AC Milan and Inter. He spent much the larger part of his career with Inter, however, hence AC Milan fans prefer to describe the stadium as the San Siro. 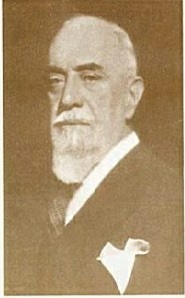 Stacchini went on to design many more buildings, especially for the banking sector, before spending the latter part of his working life teaching architecture at the Milan Polytechnic. He died in Sanremo, Liguria, in 1947, aged 75. Milano Centrale has 24 platforms and handles about 320,000 passengers per day, using approximately 500 trains. The station is a major hub on the north-south route between Bologna and Salerno and also has trains running daily to international destinations including Bern, Lugano, Geneva, Zürich, Paris, Vienna, Barcelona and Munich. The new M5 metro line has made access to the Stadio Giuseppe Meazza easy to reach, with a new station (San Siro Stadio) situated directly outside the ground. The line does not pass directly through the city centre but travellers using line M1 can change at Lotto, or at Garibaldi on line M2. The Line 16 tram still runs from west of Piazza Duomo to the stadium, where the route terminates. The journey by metro takes about 20 minutes, by tram half an hour.